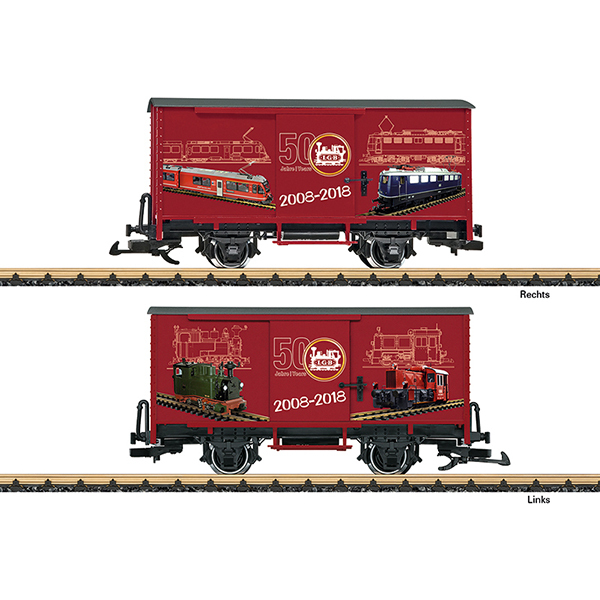 Model: This is a model of a two-axle boxcar in a special paint scheme for the 50th anniversary of LGB Garden Trains. This car is imprinted with the most beautiful models from 1968 to 1978. The side doors can be opened. The car has metal wheel sets. Length over the buffers 30 cm / 11-13/16". 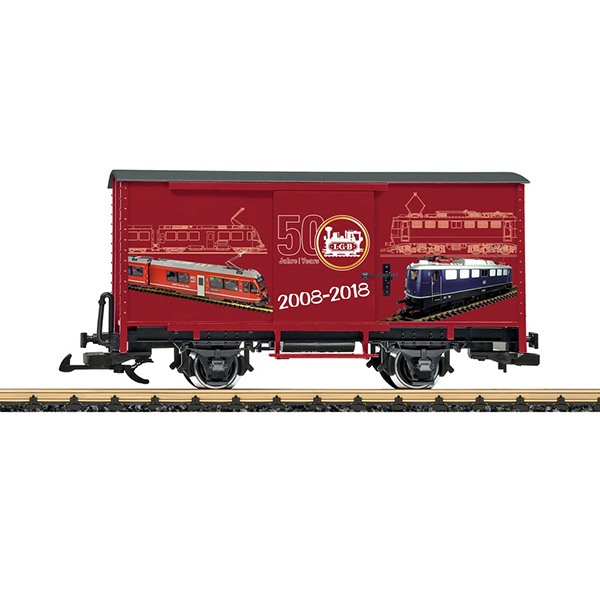 A beautiful train with the highlights of 50 years of LGB can be assembled with this car and with the 40501, 40502, 40503, and 40504 cars as well as the 20216 anniversary locomotive.